HCCs are built around collaboration as it is vital to be constantly connecting with other nonprofits creating larger, meaningful community impact. HCC’s Serving SPROUTS kids program follows this principle by partnering once a quarter with another Valley outreach to learn about their cause and how they can get involved. 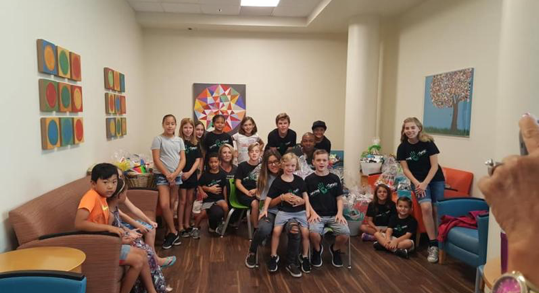 This summer the Serving SPROUTS partnered with Reba’s Vision & Baskets of Hope, a local Phoenix nonprofit who creates baskets of hope and delivers them to local hospitals for children with cancer and/or other critical illnesses. 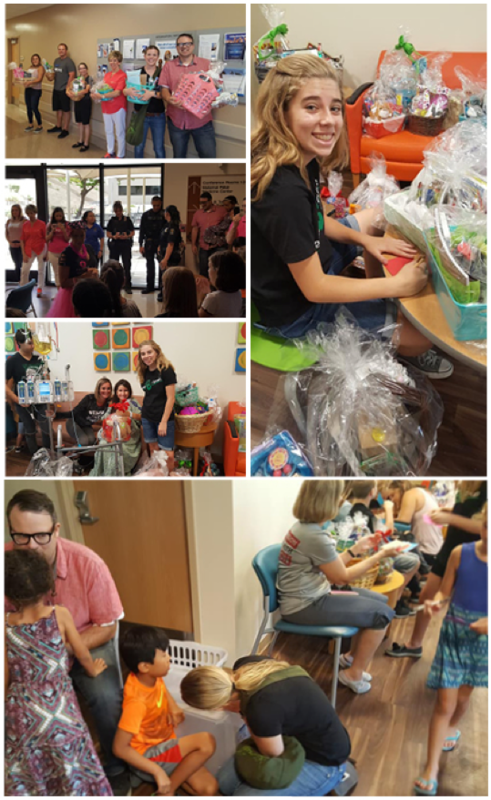 Last month the Serving SPROUTS and families visited Banner Thunderbird Hospital with Reba’s Vision and delivered baskets of hope filled with blankets, toys, gift cards, books and more to the pediatric floors. Serving SPROUT leaders challenged the SPROUTS and their families to create and donate 35 baskets. To our amazement Serving SPROUT families stepped up big time and delivered 70 baskets! The power of sharing this simple outreach on social media, with a neighbor, and/or sharing with one’s sport team allowed for an amazing response! Reba, founder of Reba’s Vision who herself is suffering from stage 4 cancer, was blown away by the Serving SPROUTS generosity. Thank you Serving SPROUT families and kids for truly making a difference, once again showing your compassion to others! To see videos of Serving SPROUTS delivering the baskets please visit our Facebook and Instagram pages. To find out how your family can sign up to be a Serving SPROUT email Nicolee Thompson.